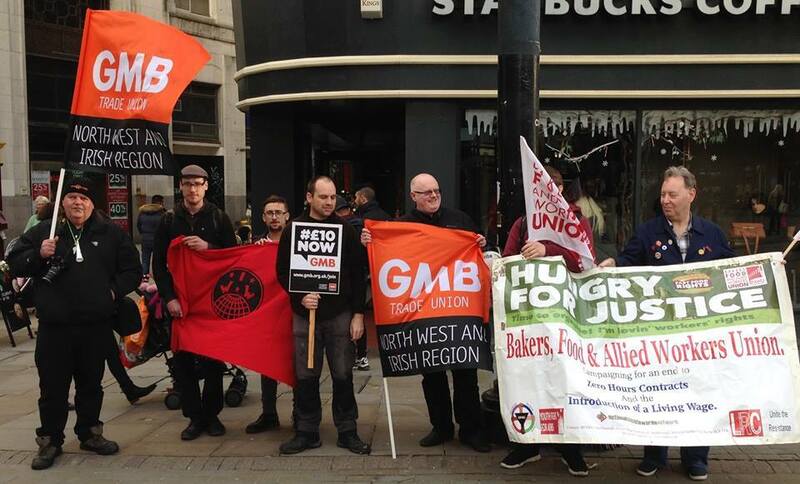 We have been told that Tristan Chard of the GMB recently wrote to all GMB members in Bradford schools about the IWW. If you’re one of those people – hello and thanks for looking us up! We wanted to respond to a few things in the letter, and then tell you a bit about who we are. We are currently supporting a GMB member in a Bradford school, and we think this is where Tristan’s concerns came from. This member has been with us as an IWW member for over 2 years, but when they moved schools about a year ago, they also joined GMB because it was the majority union in their new workplace. The IWW calls this ‘dual carding’ (being a member of the IWW and another workplace union). Many of our members are also members of other trade unions because they want to be part of a strong collective voice in their workplace. We encourage this. The labour movement is one movement as far as we are concerned, and the workers united are strong! So, ‘poaching’ isn’t a term we recognise. Our members don’t belong to us, and we hope that all our members will join any struggle and any organisation which is making a difference for them and their fellow workers. The IWW is a union for all workers, and anyone can join. We support our members wherever they are, but we don’t ‘approach’ workplaces which are already organised. So, despite what Tristan’s email said, we don’t leaflet or actively recruit for new members in schools – our members tend to join us when they see or hear about the work we are doing to support our existing members. We DO organise in un-unionised workplaces! And there are lots of these in Bradford. So – why do we, as IWW members, join even if we are also a member of another union? We join because the IWW is a different kind of union. We have no paid officers. We believe in building the skills of EVERY member – to organise, to defend ourselves and our fellow workers. In Bradford, we have a casework team of trained reps who support our members. We run training in workplace representation and union organising, which is free and open to every member. Where we can, we try and make a strong collective response to the problems that come up through casework. Where one worker is stressed and badly treated – there are likely to be others! And we can challenge that more effectively together. We don’t ask anyone to leave their existing union – it’s good to be in the union that is responsible for representing your interests at work. But we also believe in ‘industrial unionism’ – one union for every worker in a workplace, not divided by profession or grade. We are a small union – but we are a growing network across Bradford and the UK (as well as being part of a wider international union) – a network of people who believe in solidarity and supporting one another. Which also means that those of us who are lucky enough to be in unionised workplaces can help make a difference where it’s most needed. If you believe in a strong, united workers’ movement, please talk to us. There’s a lot we can do together!